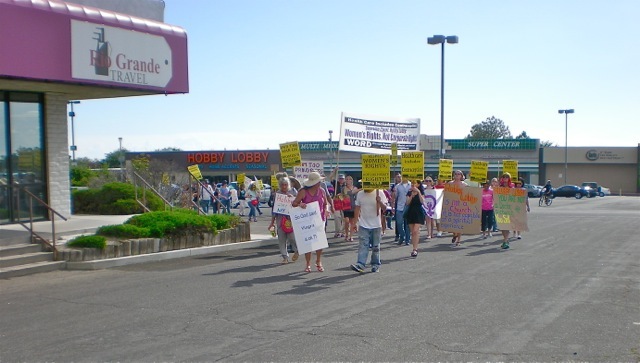 Home » Action » Articles » News » Women's Rights » Protesters Bring it to Hobby Lobby's Front Door in Albuquerque! 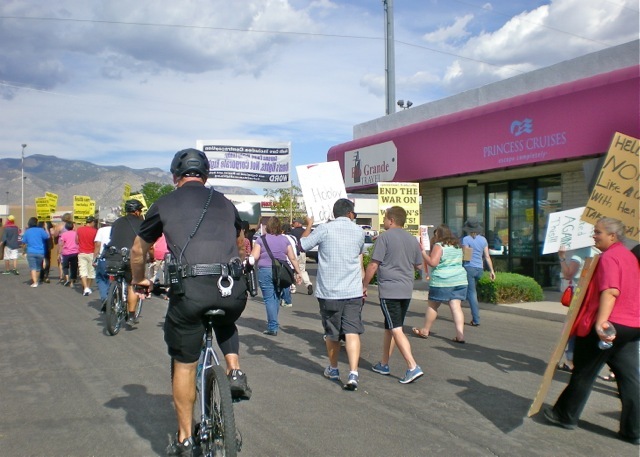 Protesters Bring it to Hobby Lobby's Front Door in Albuquerque! 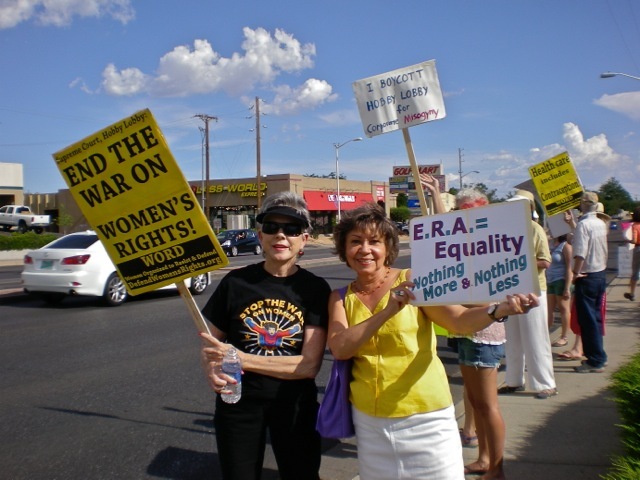 Dr. Sylvia Ramos, Chair of the ERA Task Force, the Albuquerque NOW (National Organization for Women), takes it to Hobby Lobby in Albuquerque, NM. Dr. Ramos said "We had a very successful action at Hobby Lobby that had people from several local groups: Move-On, Albuquerque-NOW ERA Task Force, Freedom From Religion Foundation, WORD (Women Organized to Resist and Defend), Veterans against War, Peace and Justice Center, Un-Occupy (name of NM Occupy- since these were native lands), Young Women United, Humanist Society, Progressive Women... Even Martha Burk came out. Move-On plans it as an ongoing 1st Monday of month event. Hopefully, it will bring people out to polls in November. We Are Woman Coalition applauds Dr. Ramos and all the grassroots groups getting out their rally shoes and speaking truth to power! Women are taking it to Hobby Lobby all over the country! 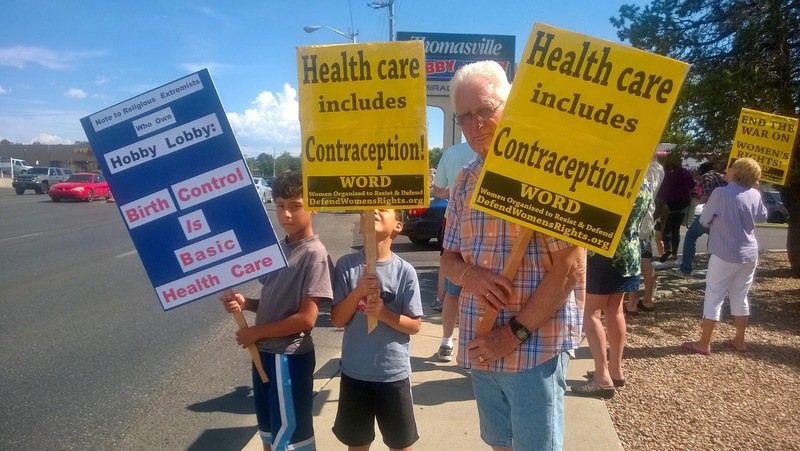 If your grassroots groups is picketing Hobby Lobby send us your photos and info so we can give you some applause! !